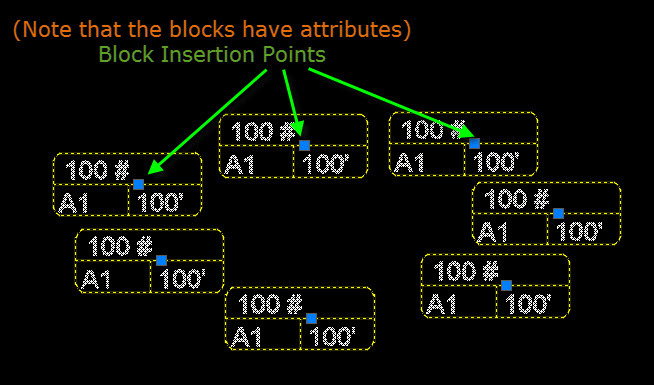 In the picture below, the scenario is that I have multiple instances of a block that contains attributes and the insertion point for this block is located at an odd location. 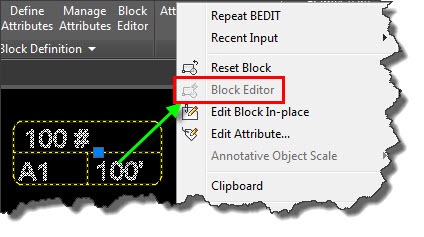 This okay, there is an AutoCAD system variable (setvar) that many CAD managers set that prevents users from editing blocks. As shown below, simply enter BLOCKEDITLOCK in the command line and set it to 0 (zero) to allow the block editor to be used. Your block will now open in the magical world of the block editor. Notice that the background color is different (grey) which is good so that you remember that you are in the block editor and not in a drawing space (model or paper). One important thing to notice is that when you want to exit the block editor, the furthest right button on the tab labeled “Close Block Editor” is what you want to use. 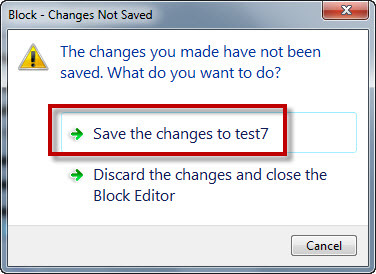 If moving the insertion point is all that you need done to a block, you can now use the “Close Block Editor” button and click “Save changes…” so that the block will reflect the moved insertion point. Because our block has attributes, you might notice that the attributes didn’t move. This is because when the block was created, the “Lock Position” option was set to “Yes” when the Attribute was created. 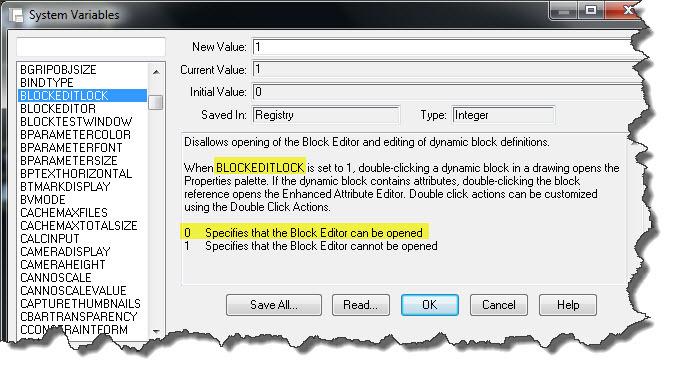 Prior to placing the block, use the CTRL key to toggle through the various insertion points. This entry was posted in Blocks, Manage, Modifying. Bookmark the permalink. thank you so much Sir Greg. :) more power! If you want to temporarily change the insertion point of a block, type ‘Insert‘ at the command line and choose your block then when asked for insertion point type B for Basepoint . After that, all you have to do is to choose the new base point and insert the block.